At the moment there is no specific medical treatment for eye floaters (dvs). There is no evidence to show that eye exercises, diet changes or vitamins can help. Once diagnosed and satisfied that there is no underlying pathology, patients should always wait a period of time to see if their floaters settle naturally and should only consider medical intervention if their situation is intolerable and they have tried more conservative management approaches. There are a couple of medical techniques that can be used, but they are not recognised as a standard management approach and are not widely practised. Because eye floaters are considered benign, many ophthalmologists believe the possible benefits of treatment do not outweigh the risks involved. 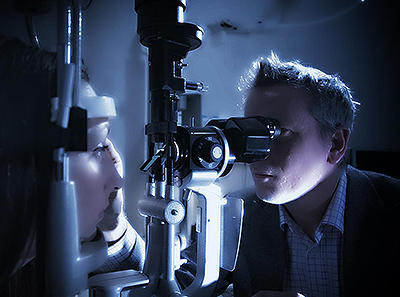 A minority of ophthalmologists offer laser treatment for eye floaters. Some studies have reported that this treatment only helps to partially reduce floaters in a third of cases. Read more about laser treatment here. There is a surgical procedure called vitrectomy which removes the vitreous jelly from the middle of the eye and it can reduce floaters. It is a major operation and it is not usually offered to patients. Read more about vitrectomy surgery here. Also see our interviews section for a series of interviews with medical practitioners. There are also some useful Post Operative Guidelines here. If you are interested in pursuing the medical options, we have compiled a directory of physicians and surgeons who are sympathetic to treating floater patients.